Sailing North West between Jura and Scarba where there is a hotspot for seafood. 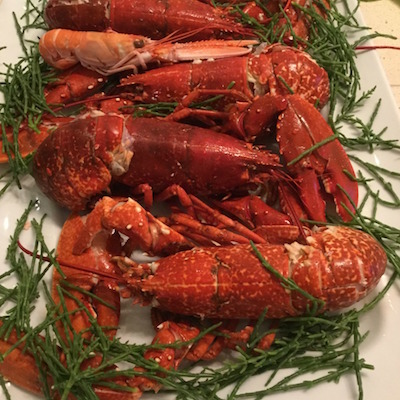 Mull is well worth visiting not just for its natural beauty and charm but for its amazing seafood like fresh mussels from Spelve , oysters from Croig and lobsters from Ulva. The Coastline has many sheltered harbours where peaceful nights at anchor can be enjoyed after a delicious dinner and a wee dram perhaps! Visiting Staffa and Fingal’s cave is on everyone’s bucket list as is going ashore at Iona to see the magnificent abbey. Exploring Erraid is interesting as it provided inspiration to Robert Louis Stevenson for his classic novel “Kidnapped”.